The Pitt men’s basketball team’s 73-59 win over the University of Maryland Tuesday night made a statement, and not just for the team. 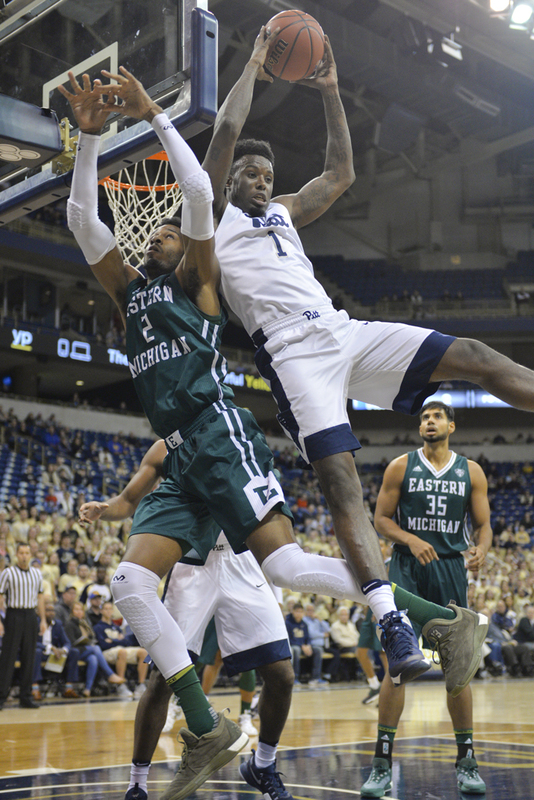 For senior point guard Jamel Artis, the win was a little more meaningful. Artis, who put together another solid all-around performance with 22 points, six rebounds, three assists and two steals, got a bit of revenge on the Maryland Terrapins — a team that never reached out to him as a recruit, even though he went to high school only 45 minutes away. “I played with a chip on my shoulder for that,” Artis told the Pittsburgh Post-Gazette’s Craig Meyer after the game. The rest of the team was playing for pride as well, as it was the first true road game for the Panthers this season. When the Panthers left the friendly confines of the Petersen Events Center for the first time under new head coach Kevin Stallings, they suffered their first loss in a neutral-site game against SMU at Madison Square Garden in New York City, 76-67. Pitt came back the next day to defeat Marquette at MSG, 78-75, but the team was only 1-1 away from home. It was fair to wonder how the Panthers would handle themselves when stepping onto an opponent’s home floor for the first time. And their first step into enemy territory was inside Maryland’s Xfinity Center, home of the undefeated Terrapins and their rabid fan base. One of toughest places to play in the country, the Terps had won 33 of their last 34 games at Xfinity going into the contest. Apparently not for Artis, Michael Young and company. The ACC’s top-two scorers entering the matchup, Artis and Young combined for 47 points in a game that was never really as close as the final score. Pitt led by as many as 25 points early in the second half before Maryland narrowed the gap late. Young continued his dominant start to the season, in which he has led the Panthers in scoring in every game since the opener and failed to score at least 20 points only once. He tallied 25 points and nine rebounds along with a crucial blocked shot and drained six clutch late-game free throws. But for Artis, a native of Baltimore, the win may have been a bit more special than others — and not just because it was supposed to be the Panthers’ toughest non-conference challenge. “I thought in the first half Jamel was spectacular and it was nice for him, kind of a homecoming of sorts,” Stallings said at his postgame press conference. The numbers back Stallings up and the game film does too. Artis seemed to play with an intensity rarely seen from a player who usually makes the game look effortless. Artis was referring to the ACC preseason poll, where media members projected the Panthers to finish 12th out of 15 teams in the conference despite the team returning six of its top seven scorers from last year’s NCAA Tournament team. It’s still early, but a performance like Pitt put on Tuesday night could have some voters rethinking those predictions.